Food to me is so nostalgic. It makes us use so many of our senses and I think that’s one of the things that I love most about food. To me, there isn’t a food much more nostalgic than cinnamon rolls. The amazing scent that wafts through the house as they are baking is intoxicating! I remember most of the women in my family making cinnamon rolls at one point or another. It’s almost as if they are a part of my family. Whenever there are several of us gathered cinnamon rolls are some kind of staple. And they are the best. My mouth is watering as I type this. I don’t think that there is really anything special about the cinnamon rolls that I have eaten all my life. The only staple that I have come across in our cinnamon rolls is brown sugar; not all cinnamon rolls include brown sugar and I always feel that something is missing when I eat a cinnamon roll that is not made with brown sugar. It is full of wonderful cinnamon and sugar flavor and is so pretty with the filling swirled through. *Note: next time I will double the filling amounts; feel free to do that when you make this recipe! And to burn some of the calories in this bread, here’s my most-recent treadmill workout. Loved this one. It includes just enough recovery but gets your heart pumping! Combine the warm milk, water, yeast and 2 teaspoons sugar in a measuring cup and let sit for 10 minutes until foamy. The temperature of the milk/water should be about 100 degrees…about the same temperature as a warm bubble bath but not too hot. While the yeast is resting, combine the flours, 1/3 cup sugar, 3 tablespoons softened butter, salt and 1 tablespoon cinnamon in a large bowl. If you’re using a stand mixer, use a paddle attachment and start to mix on slow. Then, drizzle in the water mixture while the machine is running. Increase speed to high and mix until smooth and elastic. If you’re working by hand, simply add the water mixture to the dry ingredients and knead on a floured surface for 10 minutes until smooth. Spray a large bowl with cooking spray and place dough ball in. Cover with a cloth and let rise for 90 minutes in a warm spot. While the dough is rising, mix the filling for the bread. Combine the butter, cinnamon, sugar, brown sugar and vanilla and mix until smooth. After the dough has risen to double its size, roll out with a rolling pin on a floured surface to a long rectangle. Smear the butter mixture all over the top and roll up tightly. And I mean tightly. I didn’t roll mine nearly tight enough and the middle of the loaf was very airy and didn’t hold together well after the pieces were cut. Oh yummy, this bread looks fantastic. I would definitely have to hit the treadmill, or the road, after a few slices of that. Gorgeous loaf! Can't wait to try this recipe! Oo wish I had known about the brown sugar idea before I made my cinnamon rolls! Bread looks good. What a perfect loaf of bread! This looks so tasty and the swirls are so pretty! I can see what you mean about the filling though, one can never have enough of that delicious cinnamon filling! Look at that perfect bread! What a great job! You are crazy mad woman on the treadmill! I run outside, but really find it hard to do it on the treadmill! Your loaf looks perfect! I think I'm going to go straight to the run today and think about making this bread. I'll take anything that's made with a cinnamon filling! anything! That loaf is just gorgeous! Oh yum! This bread looks amazing! 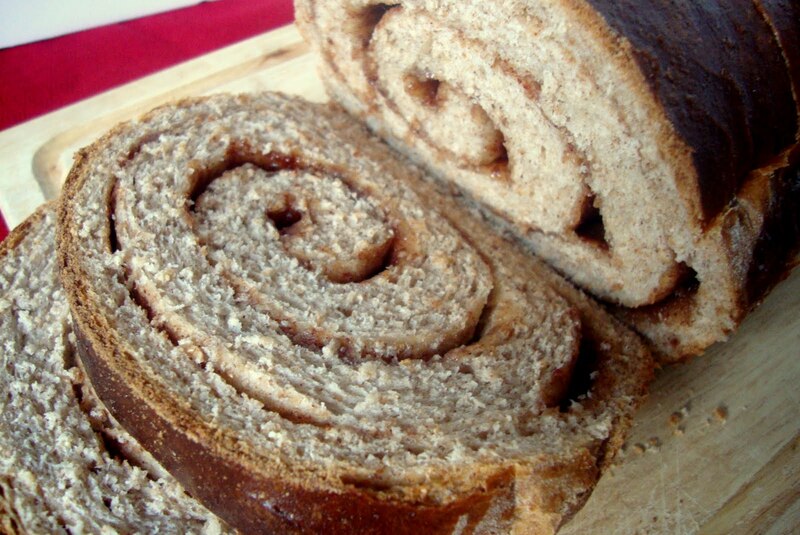 I haven't had cinnamon bread in a while so I must try this! 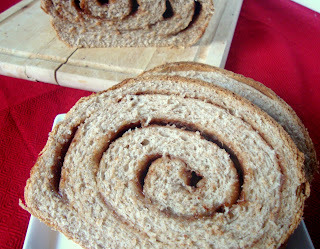 i love cinnamon bread and this looks great! Your swirl is so perfect! Just beautiful! Oh yum! I totally agree, food brings up all kinds of nostalgia. For me, cinnamon rolls mean birthdays. My mom used to make my brother and I cinnamon rolls (just from a tube) on our birthday mornings. This looks soooo good and I amd trying to expand my yeast bread skills so I should make it! L O V E this! We ate cinnamon toast growing up…my mom wasn't so much the baker 🙂 But cinnamon anything gets me super nostalgic. I love that about cooking and food too! Lovely post Cassie! That is such a gorgeous loaf of bread! those cinnamon swirls are perfect. I would love a slice of this and I'm sure it smells heavenly while its baking! this looks great! i am a horrible bread baker no matter how many times I try! This looks amazing! I hate being allergic to cinnamon, because I just love it. The bread is beautiful and you got a PERFECT swirl! Buzzed! Cassie this is very delicious looking bread roll…Love the flavor.. Going to try your treadmill routine. I do a really boring 35 mins at 1 pc incline 6 mph. I need to mix it up! The bread sounds delish. this cinnamon roll makes me happy!! such a pretty swirl! Picture perfect bread, Cassie! My whole family would love this. And I'm amazed that you can run 8 mph on your treadmill…I think mine would throw me across the room! You go, girl! This looks BEAUTIFUL, not to mention delicious. I love anything with cinnamon. This looks so yummy! You had me at cinnamon. Add bread and I'm a goner. Fantastic. This is lovely. Love the perfect swirl on your bread. 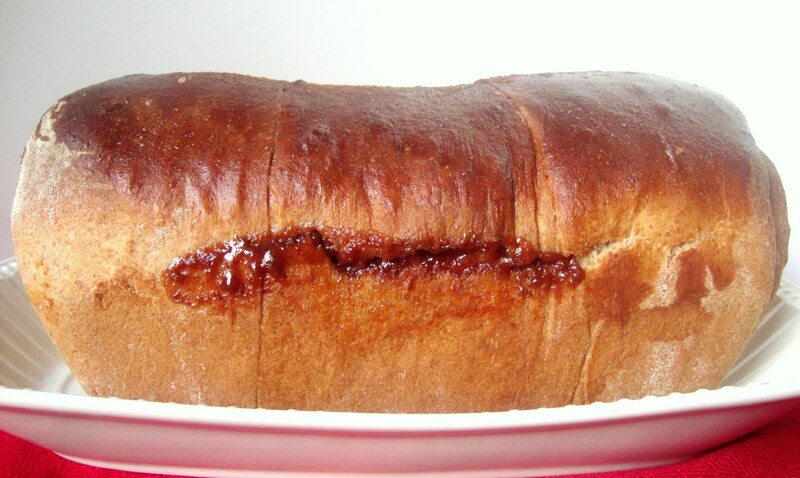 Lovely sweet bread! Cinnamon is my favourite spice for sweet! I love its aroma! I have never made cinnamon rolls at home! I'd love to try it! WOW! That bread looks A-mazing. Thanks so much for sharing this, it made my mouth water as I read it. I would add some raisins the filling, but only because I love them. Perfect swirls! I'd love to make French Toast with this. Just made this for the first time and it turned out so well, and so yummmy!